The next Scientific Advisory Board meeting of MICCoM was held on September 20-21, 2018. 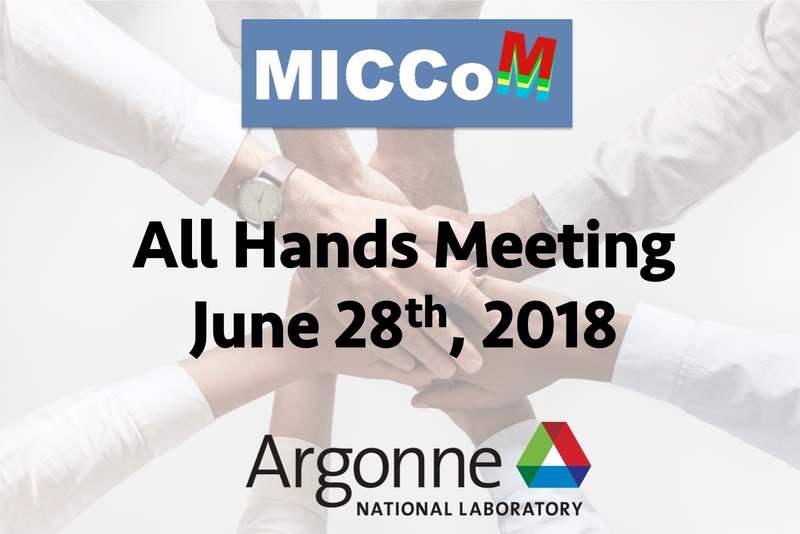 The 2018 MICCoM Hands meeting was held on June 28th, 2018 at Argonne National Laboratory. July 24-25, 2017 - Washington, D.C. 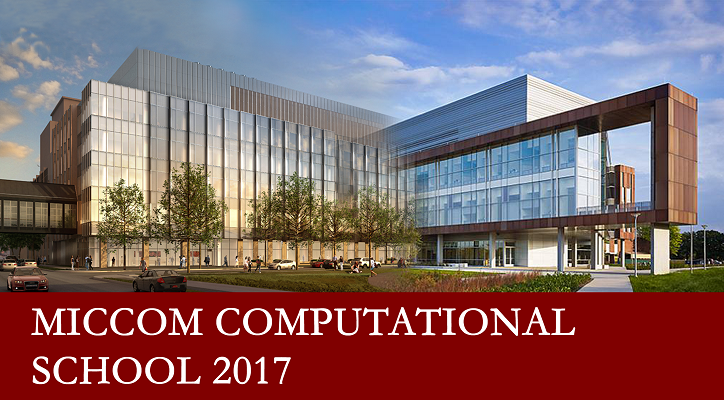 The first MICCoM Summer School on Computational Materials took place at the University of Chicago July 17 - 19, 2017. 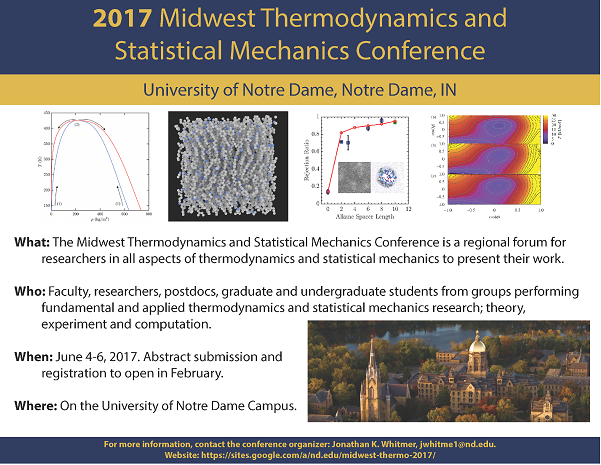 The conference, in its 30th year, focuses on the latest developments in experimental, computational and theoretical thermodynamics and statistical mechanics research.  This meeting will bring together the senior principal investigators of computational materials science centers, and of major computational materials efforts worldwide. Workshop organized by Giulia Galli (University of Chicago) and Mercouri Kanatzidis (Northwestern University) at Long Island, NY on May 15 - 17, 2017. For questions about logistics, contact Eunice Toro (☎ 631-591-4000). 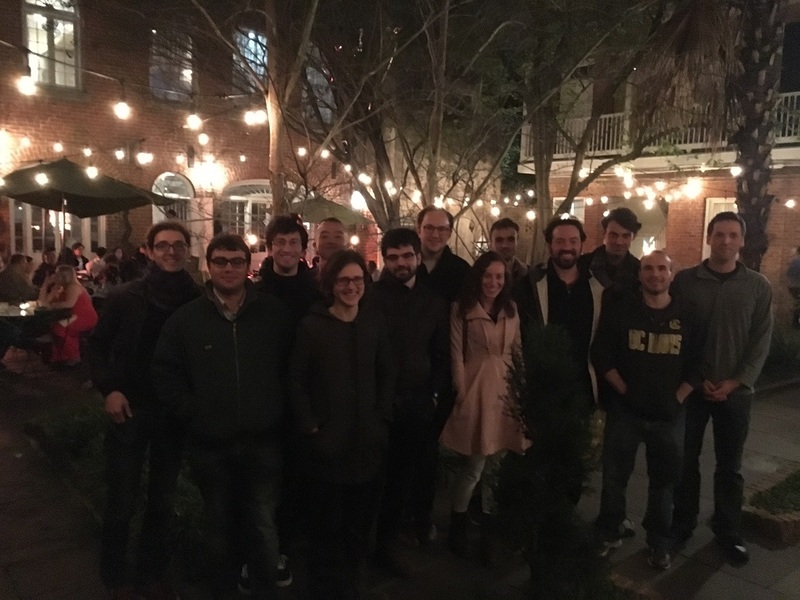 We organized the first 2017 national meetup of the Early Career Network (ECN)! ECN is a group of early career scientists from current DOE funded Energy Frontier Research Centers (EFRC), Energy Innovation Hubs, and Computational Materials Science centers. 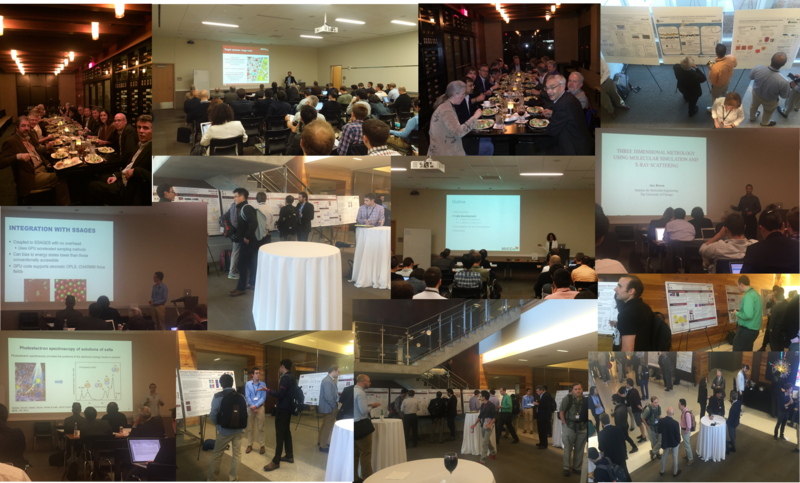 ECN is promoting more graduate student and postdoc activity within the centers through webinars and social events at national conferences. 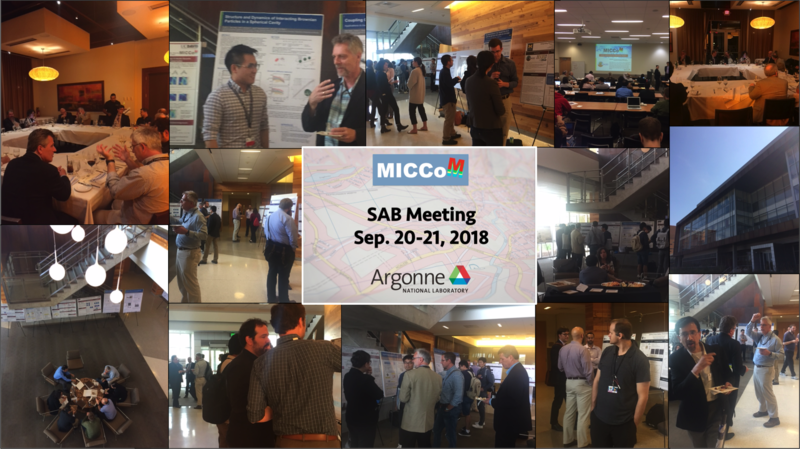 "Scalable, Efficient All-Electron First-Principles Simulation Approaches to Materials, Molecules, and Large Nanostructures"
Scientific Advisory Board (SAB) and All-Hands Meeting took place at Argonne National Laboratory on October 18-19, 2016. Friday, July 29, 2016, Eisenhower Executive Office Building, Washington D.C. The workshop will bring together leaders from industry, academia, and government to learn about the NSCI’s first year of progress. The White House would like to hear individual views from attendees about the opportunities for discovery and innovation that NSCI will afford, as well as solutions to the challenges that the high-performance computing community faces in achieving the visionary goals of the initiative. Seminar: Which Superlattices are Possible with Nanocrystals? The assembly of functional nanoscale building blocks has led to the development of novel materials. Nanocrystals are particularly promising because their shape and ligand shell can be tuned continuously through control of the synthesis procedure and the assembly conditions. Just like atoms, nanocrystals nucleate ordered seeds that gradually grow into superlattices. Interestingly, but maybe not surprisingly, many superlattices with nanocrystals are iso-structural to crystals found with atoms and vice versa. In this presentation we address this relationship. First we demonstrate how we can reproduce and understand experimentally observed superlattice formation in computer simulations for nanocrystals with anisotropic shape and in binary mixtures. 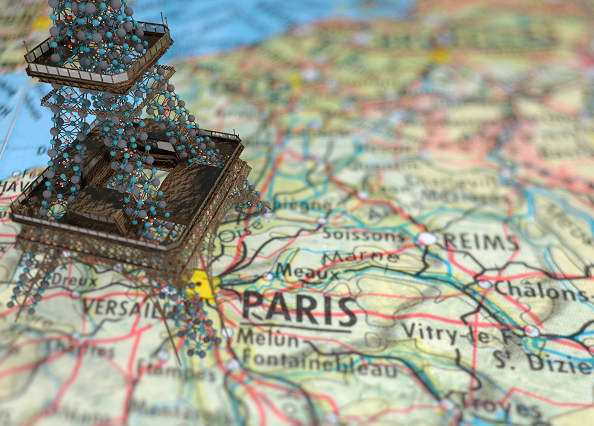 By systematic searches in parameter space, coupled with advances in coarse-graining models, we aim to expand the library of achievable superlattices. Many superlattices iso-structural to crystals of the chemical elements are rediscovered plus some new, exotic ones.